Alistair Gowans created this pattern to simulate the translucent shrimp like crustaceans he had observed in trawler catches. He created it in 1981 and was first publicised in 1988. 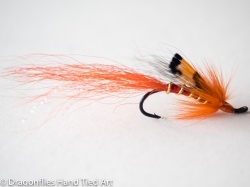 It is one of the most popular Atlantic Salmon flies. This little shrimp is one of the great patterns of all time. The long flowing tail produces motion that gives the illusion of life. 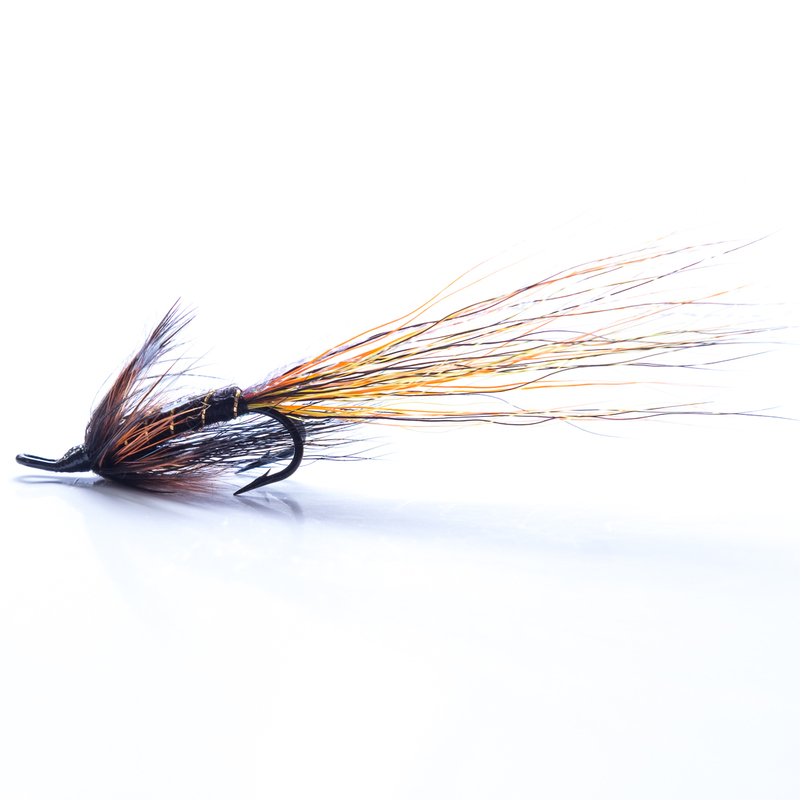 It is a river fly for all seasons. It is very successful for salmon on large rivers. These crustaceans can be found in most rivers, lakes and reservoirs. They form a large part of the trout's menu of edible fast food. Some natural colored shrimps turn orange-brown during the mid summer mating season. 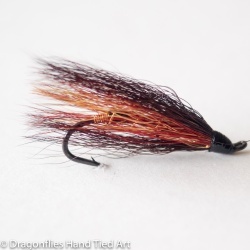 A deep fished, artificial shrimp fly pattern can be a killer, especially when it is fished to imitate the shrimp's darting, stop-start, motion. 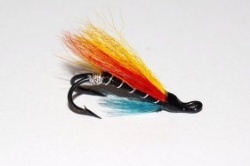 This type of 'sink and draw' is easy to reproduce when you fish with a weighted shrimp on a floating line.